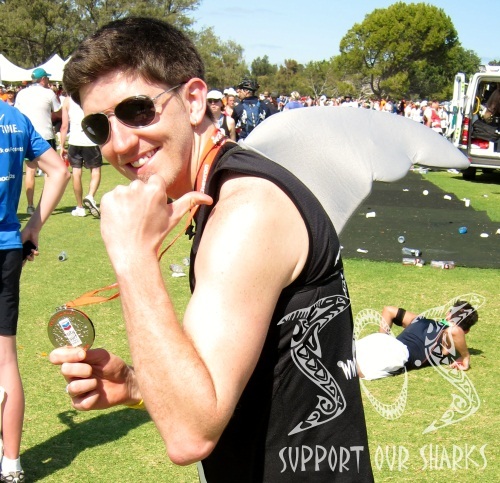 On August 26th 2012, SOS founder, Ryan Kempster, did his part for shark conservation by running the Perth City to Surf Marathon in 3hrs 53mins. Here at SOS we believe that every individual can make a difference to help conserve our shark populations for future generations. 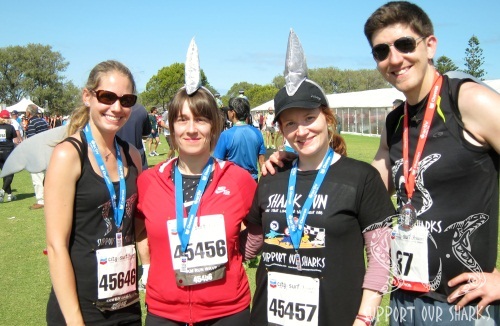 Ryan's Shark Run marathon raised $300 for The Australian Anti Shark Finning Alliance (TAASFA). TAASFA is determined to bring shark finning to an end and they will target anyone and everyone involved in order to achieve their mission. 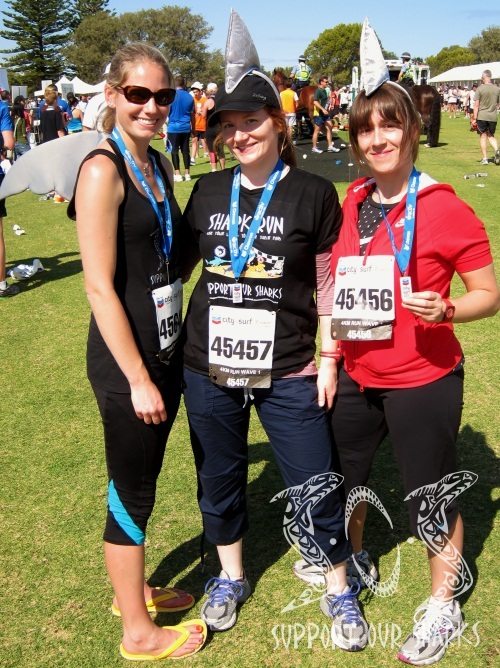 Also participating in Shark Run 2012 were three passionate shark conservationists, Channing Egeberg, Caroline Kerr and Claire Walker. 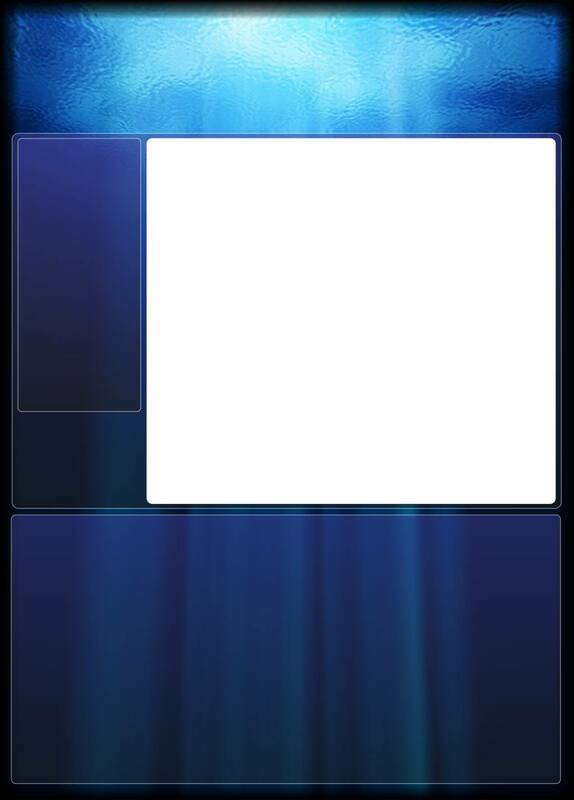 We are so grateful for their support and their FINtastic effort to spread awareness and support for shark conservation. Why not join Ryan and friends by raising money yourself for another shark conservation cause, by participating in an event near you. 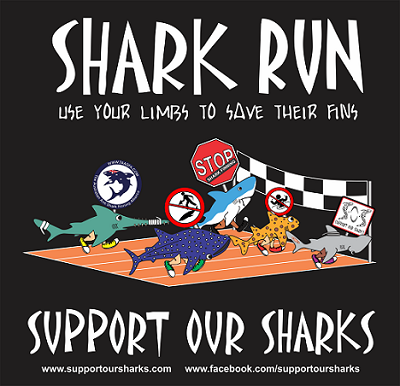 We encourage you to wear an SOS T-shirt and use it as your event day running shirt to educate and inspire people to get involved in shark conservation. 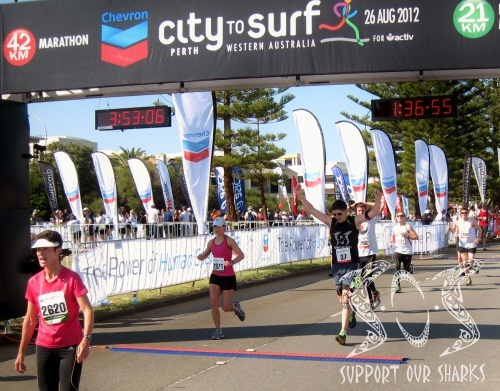 See below for pictures from Shark Run 2012. Ryan crossing the marathon finish line in 3hrs 53mins. 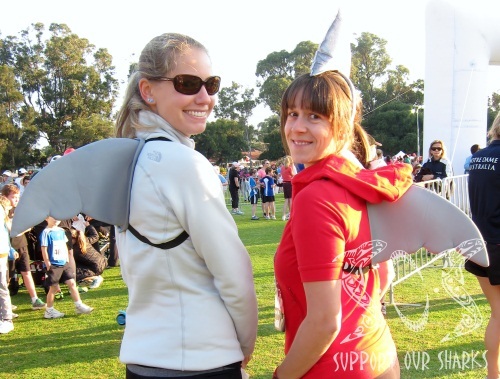 Caroline Kerr and Claire Walker showing off their fins to support our sharks. Channing Egeberg and Claire Walker preparing for the race. 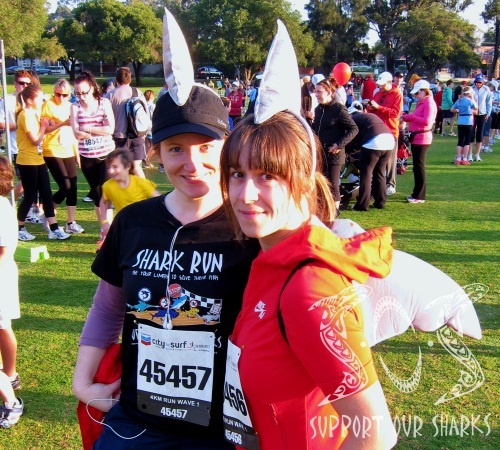 The Shark Run girls: (Left to Right) Channing Egeberg, Caroline Kerr and Claire Walker.